Home > Personal Finance > How Can I Deal with Financial Troubles? How Can I Deal with Financial Troubles? No one wants to deal with financial troubles. Unfortunately, even when you’re going out of your way to avoid them, you may find yourself with overdue payments, overdrafts and a plummeting credit score. It’s easy to feel overwhelmed. Your situation might feel hopeless at times, but you have several different options when financial problemshaunt you. Here are a few of your options so you can consider the pros and cons of each before making a move. With the average American household having around 3.4 credit cards each, it may be that the number of payments you’re making each month is the issue rather than the individual payment amounts. 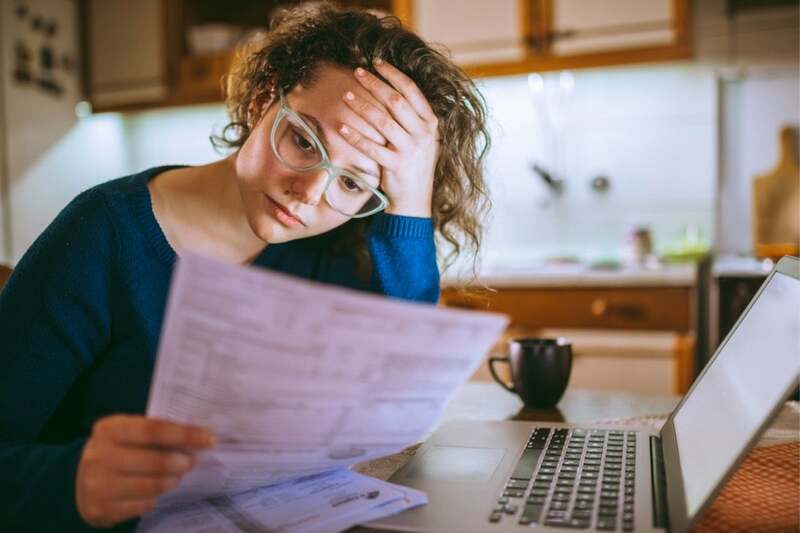 If you’re overwhelmed by the number of bills you’re receiving each month, debt consolidation might be an option for dealing with your financial troubles. In this debt consolidation process, your current eligible debts are combined into one. You generally make one payment towards your single new debt every month rather than paying several smaller payments. A debt management plan (DMP) reduces your monthly payments to make your outstanding debts manageable, with the help of credit agencies. Personal loans are issued by lenders, giving you the ability to pay off any unsecured loans you may have. A home equity loan requires you to only take out the amount you need in a single lump sum. Overtime, you’ll pay the loan back monthly. On the other hand, a home equity line of credit gives you a 10-year period to borrow up to a set amount of money. Balance transfer credit cards are great for paying off credit card balances. Simply transfer a current credit card balance to a different credit card. You’ll have an easier time with your monthly accounting, because your payments are consolidated into one. There’s a smaller chance of you missing a deadline. It’ll cost you less overtime, because your consolidated plan has a low interest rate. Instead of being forgiven or reduced, your debt is merely placed on a different payment schedule. You’ll be locked into larger lump payments for a set period of time. You must continually make larger payments and reduce your spending to get long-lasting results. Debt settlement is another option for those who find themselves trying to get out of a bad financial situation. Debt settlement involves negotiating the final settlement of a debt for less than is what is owed. It normally takes place between a borrower and single creditor. However, dealing with multiple creditors with debt settlement isn’t unheard of. When you negotiate successfully with your creditors, they’ll sometimes settle for pennies on the dollar for what you owe because they’re faced with settling or not getting any payment at all. This means you’ll pay less in the long run, which is the main benefit of this debt reduction plan. However, not everything is ideal when it comes to debt settlement. Negotiations can be time-consuming and unproductive at times. In the meantime, you’ll likely be building up overdue fees to contend with later. When you make your settlement, you’re expected to pay the agreed-upon amount up front. If you’re having financial troubles, this could be a problem. So it’s advisable to work with a professional representative throughout the process. Debt management plans are normally offered through non-profit credit agencies and primarily deals with credit card debt. They don’t eliminate your debts, but rather give you a bit of relief from crushing interest rates and simplify your payment plan to make your outstanding debts more manageable. Under a debt management plan, you work with some of your creditors to reduce or erase interest rates and extend your payment schedule to make your monthly payments more manageable. Typically, settlements extend your payment schedule to three to five years. A debt management arrangement lets you make your monthly payment manageable, giving you a little more wiggle room in your budget. However, this plan isn’t without its drawbacks. Not all of your creditors may approve this plan, and those that do aren’t legally bound to the agreement. And you still have to repay the entirety of your debt. Generally speaking, it’s never too late to begin repairing your credit after it’s sustained a few dings from late payments or high balances. More often than not, credit repair involves filing disputes with credit bureaus, a task that can be done for free via either snail mail or online services if you intend to pursue this course on your own. The end goal is to reduce the number of incorrect dings that are on your credit report, such as those caused by a collections agency selling your overdue account to multiple debt collectors. A free credit report tool is available to you any time during this process, so you can continue to improve your finances after negotiations are complete. In order to make the process easier, you can even work with professionals who offer credit repair services. These professionals do charge for their services, but you’ll have better results in the long run. Hiring a professional for this service has plenty of pros and cons. The fact that you have an expert handling your business is a definite pro, but the fact that sometimes the services require money could be a con depending on your financial situation. Using a professional will give you fast processing and great results. Furthermore, some credit repair companies you come across online are scams, so it’s imperative to make certain you’re working with a reputable business throughout the process. Make sure to do some research by checking out a few reviews before deciding. No more collection attempts from lenders. Potential bankruptcy exemptions allow you to retain some property. Discharging of many of your debts. Not all loans are covered—student loans and government fines are not forgiven. Loss of non-exempt property under chapter 7. Poor reflection on your credit score for 10 years. An expensive process, upwards of $335 for the filing process alone1. With so many options available to you, it’s only natural that finding the right path out of your current financial hole seems overwhelming and stressful. No matter which option you choose, use the free credit score tool from Credit.com to watch your score improve as you take control of your credit and your financial situation.